No, you get Axecutioner from Quigly in RumbleTown. He has a full deck of them though so it is somewhat difficult. You get Axecutioner after you beat Bert at Skystones in Junkyard Isle. 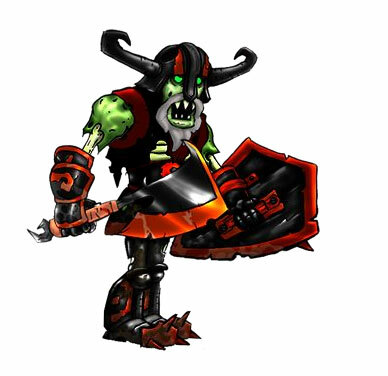 I thought that the Counquertron would be like 10,000 gold, so I saved money on Drobot, my wealthiest Skylanders, plus the fact that it is the only Skylander that my friend uses, and I let him win every fight in Arena Rumble and that totals up to 21,735 gold. So when I bought it, it was not a lot of money, and I was tricked. So now Drobot still remains wealthy. Never mind. I just completed my Skystones collection! Arkeyan Jouster 2 and D. Riveter 2 are the only ones I'm missing, can someone tell me where they are? @Legolander Well then Conquertron has to have like, 8 on each side and Arkeyan Ultrons have to have 6. I don't even have HALF of these and I'm undefeated in sky stones! v Captain Dreadbeard never gives me any anymore.